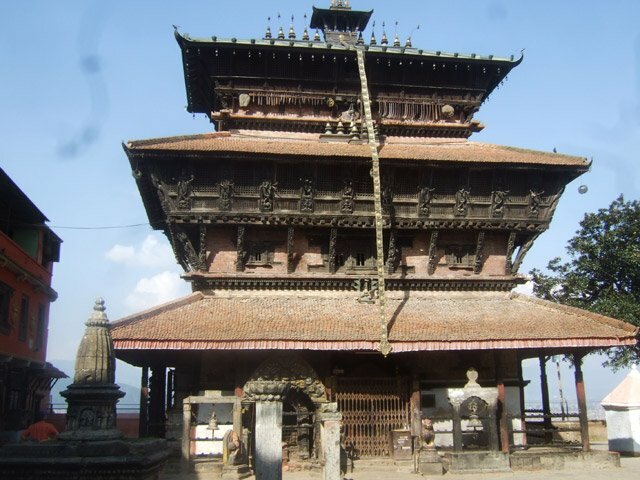 Guided City Tour in Kathmandu, Patan, Bhaktapur, World Heritage Sites. Tour to famous monument of Nepal exhibits the true colors of tours in Nepal .It lets us display ancient cultural and historical significance. These cultural things fascinates every visitor. We start are tour to famous monument of Nepal by visiting Boudhanath Stupa, Pashupatinath Temple, Bhaktapur Durbar Square and finally end up at Nagarkot. Second day we will visit Swoyambhunath Stupa, Kathmandu Durbar Square & Patan Durbar Square. During our tour to famous monument of Nepal, as soon as your arrival in Tribhuwan International airport, we will be transfer you to your hotel. Then you will stroll around the streets for lively night life in Thamel. There are plenty of restaurants, dance bars and cultural programs happening after sunset in Thamel. You would love to be part of it. The next day after having an instant meal, we will catch our private vehicle to visit UNESCO world heritage sites . We go around Kathmandu valley specifically, swoyambhunath stupa, Kathmandu durbar square and Patan durbar square. These world heritage sites reflect the brilliance in architecture and ancient culture. Next day we will go for further sightseeing. Mainly we visit Boudhanath stupa, pilgrimage pashupatinath temple and picturesque Bhaktapur durbar square and then we go for the overnight stay at Nagarkot hill. Early in the morning, we will go for exceptional sunrise views over the Himalayas form Nagarkot .It is regarded as the best Himalayan view point near Kathmandu valley. After embracing these moments we will either catch international flight or join another exciting trip with Euro Asia treks for further tours or treks. 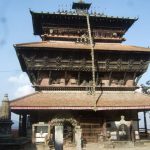 Join short and easy tour to famous monument of Nepal with Euro-Asia treks for sightseeing around the three major cities nearby Kathmandu .It is ideal for those who want to experience nepali culture and natural splendor in short period of time. You can always join other treks or tours after completion of this trip and create the best of holiday memories in Nepal. Welcome by our representative at the airport and transfer to hotel in Kathmandu. Later enjoy a Welcome Dinner in the Evening. Pashupatinath, one of the holiest temple of Hindu deities Lord Shiva, has a golden roof and silver doors and is built in pagoda style. The temple is in the mid of green forest and the river Bagmati on whose bank Hindus are cremated is flowing on its side. People except Hindu are not allowed to enter the main courtyard of the temple but can be viewed from the eastern bank of the river. It is the center of the Hindu pilgrimage and annually thousands of devotees flock into the temple during Shivaratri and Teej which occurs in the month of March and August respectively. Nagarkot situated 32 km northeast of Kathmandu in an altitude of 2164 m is one of the ideal places for viewing sunrise and sunset reflecting the changing colors on the Himalaya. Besides you will enjoy being away from the hustle and bustle of Kathmandu city and enjoy some glimpses of rural Nepal from thatched roofed houses to terraced farming. After having our early breakfast we drive to Kathmandu and after we reach Kathmandu we head towards sightseeing program. 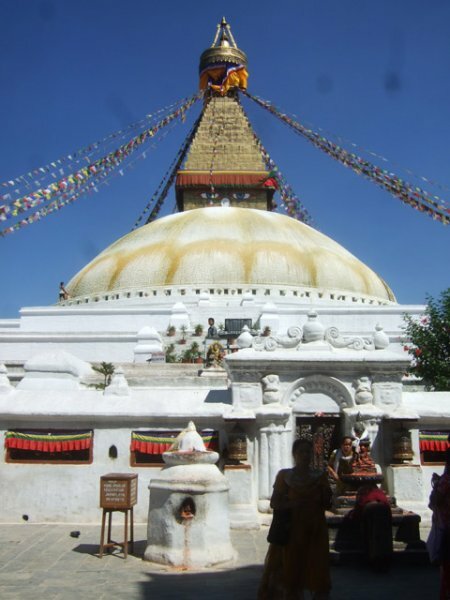 The Swoyambhunath Stupa is one of the holiest Buddhist sites in Nepal and is situated at the hillock. 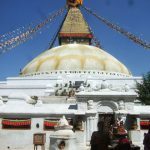 From this Stupa you can closely look at the settlement pattern in Kathmandu and have a close look at the Chaityas and Monasteries which circles the main stupa of Swoyambhunath. This stupa also relates itself to the history of creation of Kathmandu Valley as how Manjushree, a Buddhist monk, saw a huge lotus emanating bright light at the center of the lake. So he cut a deep gorge allowing the water to drain from the lake because he wanted to observe and worship the lotus where it is said that Swoyambhunath is situated. 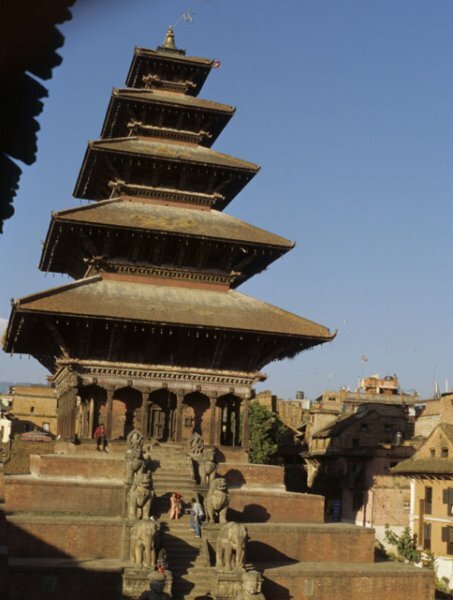 Patan Durbar Square is an enchanting melange of Palace buildings, artistic courtyards and graceful pagoda temples. 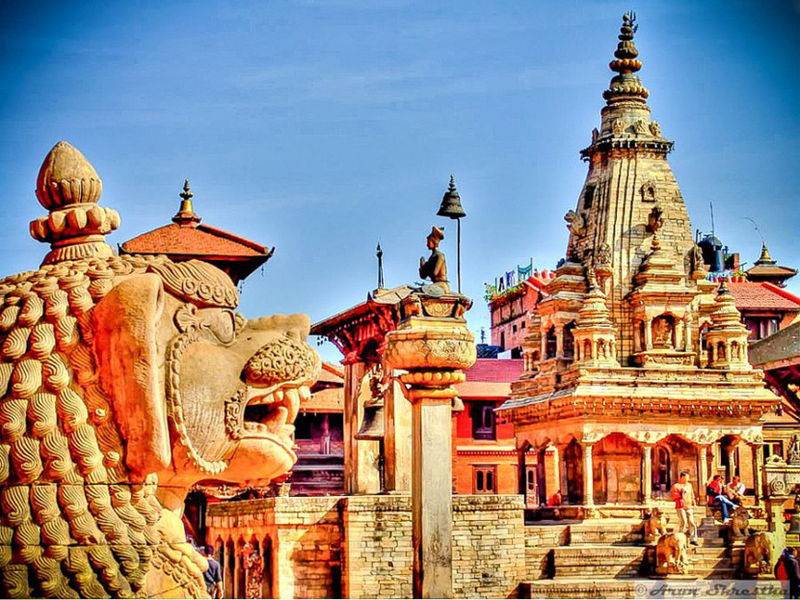 Listed as a World Heritage Site, the former Royal Palace complex is the center of Patan’s religious and social life. 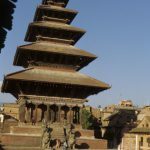 A museum full of bronze statues and religious monuments is one of the fascinating places to visit within Patan Durbar Square. A temple entirely built by stone in the 17th century in the name of Hindu deity Krishna, is one of the major attraction of Patan Durbar Square. The refugee camp set up by the International Red Cross & the Swiss Development Corporation in corporation in 1960 AD with the government of Nepal might be one of the areas where you would buy carpets and handicrafts created by them and to support the less fortunate people. Sunrise view at dawn and then breakfast at the hotel and drive to airport for departure. Overnight in Kathmandu and Nagarkot with Bed and Breakfast. Sightseeing as per program with Guide. Entrance Fees to City and Monuments Fees. Transfer as per Program by Private Vehicle. Beverage & Expenses of personal nature, Tips etc.